Great opportunity for your next venture. This 1996 built retail and warehouse building has 14,400 total square footage consisting of two retail stores and large warehouse and office space. Currently used as Village Barn Carpets and a Quilting store. 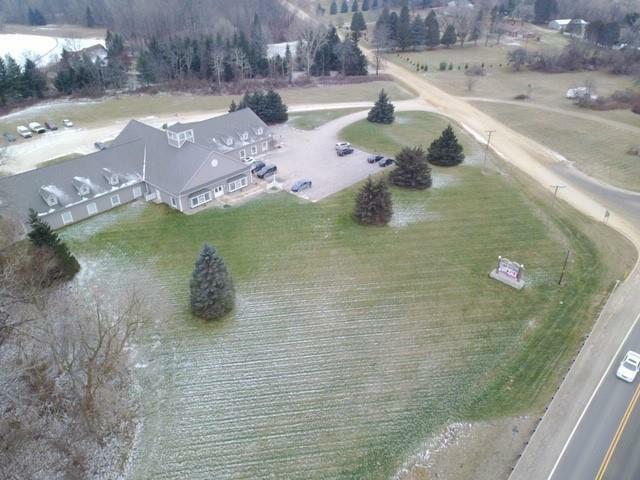 Property comes with approx 18+/- acres zoned B-2 general business and offers over 1800 total road frontage with 1325 of it on heavily traveled M-53. Great location and building for your next business or purchase as an investment as there are several parties interested in leasing. Could make great restaurant/bar, professional office space, retail outlets, medical facility, etc. The options are endless with this property. The 18+/- acres can be split which offers you even more possibilities. Seller will look at all offers. Selling the land and buildings primarily but also willing to consider offers on the building along with the business/ Village Barn name too.